Today's photo comes to us from a temple in Kamakura, my favourite place in all of Japan. 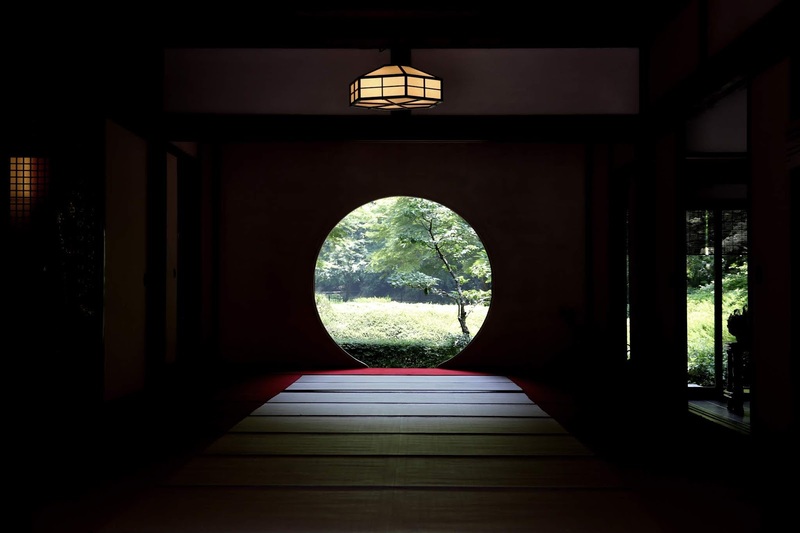 The temple - Meigetsuin Temple - has this tea room that looks out over the most pristine garden you could imagine, with a stunningly-designed circular door providing a view of that garden. This is truly a garden of four seasons, too, and if you go in the summer, and again in the winter, you'll see two very different, but equally beautiful, sights. The first time I was here, almost a decade ago, in the winter, you could actually go into this room, sit down, and have tea while staring out at the pristine garden through the circular door. Sadly, that doesn't seem to be the case any more, with a barricade allowing people to take photos, but not actually enter the tea room. I don't know if that's just a temporary thing or visitors are permanently barred from using the room, unfortunately. It's actually one of my strongest memories of my first trip to Japan; doing that in the winter. Now, unfortunately, you can only take photos from outside looking in. It's still beautiful, and the temple itself is an essential visit, with so much to see and appreciate beyond this door and garden, but it is still disappointing. That said, given the crowd size on the day I was there this year, I don't exactly blame the monks for closing the area off, either. Kamakura has plenty of shines and temples, but make sure, if you end up visiting the city (and please do), you drop in here as well.